Garden Grove Factory Scheduled Maintenance - Morrison Tire Inc. Almost all modern vehicles utilize manufacturer scheduled maintenance. These are recommended services to perform on your vehicle to keep it in peak operating condition. 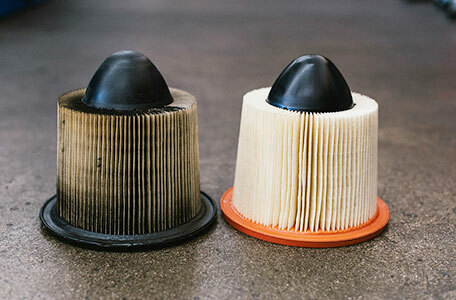 No different than changing your engine oil at a specified mileage, other fluids and filters are recommended to be inspected and/or changed at a particular mileage or amount of time. Luckily, Morrison Tire is your dealer alternative for new vehicle maintenance in Garden Grove. Scheduled maintenance will vary with the make and model of your vehicle. Utilizing our extensive database, we are able to look up your specified make and model, and know exactly what the manufacturer recommends at your current mileage. We utilize the proper equipment, fluids, parts and training to keep your vehicle running at optimum performance. Parts in your vehicle are subject to wear when you drive. Over time, components can fail, putting you at risk of breakdown. To prevent these breakdowns, the manufacturer recommends maintenance intervals to inspect these components and replace parts or fluids when necessary. Morrison Tire can provide a comprehensive inspection of your vehicle to see what maintenance is needed to keep your car driving comfortably and safely. Following the scheduled maintenance routine for vehicle allows you to extend the life of certain car components and catch any problems before they become dangerous or costly.